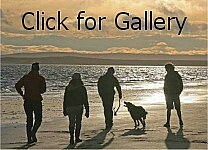 ...to the Dornoch Community Site run by the Dornoch Area Comunity Interest Company. The Sutherland Community Partnership survey is now open for those living in the Dornoch Community Council area. So have your say by completing the on-line survey here. There are also paper copies available in the Service Point. The survey is open until 2nd June and there will then be two follow-up community events in the Social Club - a drop-in surgery on 11th June 12pm-8pm and a community workshop on 12th June 7-9pm. There is now a 'free to use' ATM in the Golf Club, located in the front hall. Members of the public are welcome to use this service. We have now submitted our Stage 2 application to the Scottish Land Fund to purchase the Police Station, pending a positive decision by Police Scotland to our Asset transfer Request. The outcome will be known by the end of May. Our new Community Development Manager, Catherine Moodie is working on funding bids for the renovation work. Our plan is to do the renovation in stages, starting with the gym which attracted the most community support. So watch this space! We now have a Business Plan for the four identified uses - of a business hub, studio/workshop/ storage space (for designers, artists and makers), gym and childcare centre for 0-3 year olds. Seven potential tenants have confirmed their interest. You may have seen an article in the Northern Times outlining DACIC's ambitious plans for a new multi-purpose building in Dornoch, on the vacant site south of the new UHI Student accommodation block and opposite the Medical Centre. 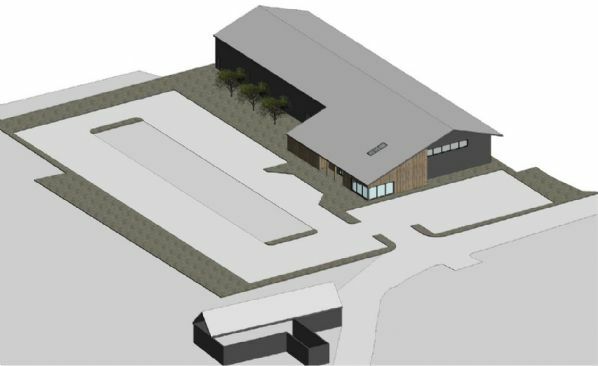 We believe this project could be transformational as it would open up all year round tourism with the building being available to hire for wedding receptions, conferences, music, arts and sports events in the Summer and curling in the Winter. 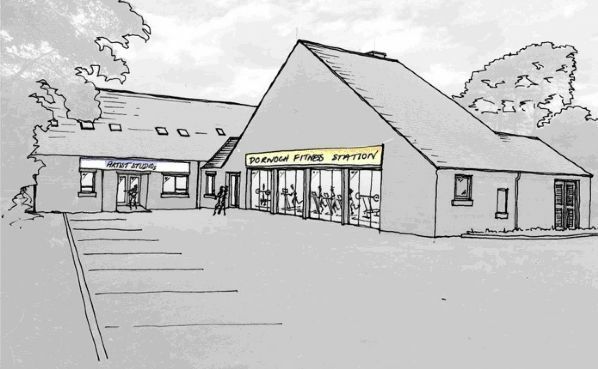 The original plan for a gym has now been incorporated in the Police Station plans above, allowing a community hall to be included in the plans at the suggestion of the Community Association - which if both projects are successful would allow the Social Club to be sold. Our application to the Scottish Land Fund has been successful and stage 1 development funding has been confirmed for Consultation, Feasibility Study and Business Plan. Ironside Ferrar who delivered the Dornoch Economic Masterplan have been appointed as the consultants for this work. The grant also allows for the planning requirements for Contaminated Land and Flood Risk Assessments to be carried out. Many thanks to those who came along to the consultation event on 22nd March. LATEST NEWS: We have submitted a bid to the Natural & Cultural Heritage Fund based on a simpler design of a steel 'hangar type' shed for the curling rink, with conventional building in front for the community hall and shared facilities (toilets, changing room, kitchen etc). Feasibilty and Business Plan from Ironside Farrar is due the end of April 2019. In response to public demand since the closure of the ATM and the Bank of Scotland branch, we are very grateful that Dornoch Stores have introduced a cashback service at its General Store, with no minimum purchase. They are open 8 am - pm daily. The Co-op, Eagle and Harry Gow also offer a cashback service. The only ATM now is inside the Co-op. The Post Office offers a full banking service.